Arden Balyeat, 48, of West Seattle died Monday, July 27th in a drowning accident. She was born to Patricia Cassidy Balyeat and the late James Balyeat in Woodland California, November 1960. Arden attended Pullman High School and Western Washington University. 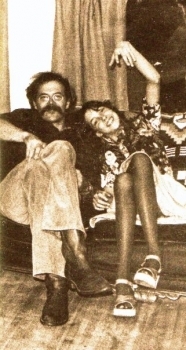 Arden was married to Jeffery Tschumperlin July 1995. In 2002 she gave birth to their son, Lucas James Balyeat Tschumperlin. She generously volunteered her time and ceaseless energy not only to family and friends but to crisis centers, women’s shelters, Little Bit Therapeutic Riding Center and Gatewood Elementary PTSA. Arden was passionate about life and those she loved. She belonged to a wonderful mom’s group and to WBO (Women Business Owners). She is survived by her husband and son of West Seattle, her mother Patricia and step-father Randy Jorgensen of Pullman Washington, sisters Laurel Balyeat of Saratoga, California and Ilya Blace of Vancouver, Washington as well as two aunts, and many more blended and extended family members. She loved her friends and her family but Arden was most devoted to her son Lucas. A memorial celebration service is planned for Arden Saturday August 1st at 4:00 PM at the West Seattle Christian Church, 4400 42nd Avenue SW, Seattle, WA 98116. A celebratory wake will take place at Arden and Jeff's home following the service at 4008 46th Avenue SW, Seattle, WA 98116. Please bring food, wine or dessert to share during the celebratory wake and the family requests that you take any leftovers home with you. A benevolence fund has been set up for Lucas in Arden's name. Contributions will be deeply appreciated. her blouse began to dry. coming back when everyone had gone. the women consoled her but she couldn't get out. she found herself looking at her legs. but they were all she could see.